For parents of bookish kids who are worried their children aren’t spending enough time outside, we’ve come up with a few activities to get even the most bookish of kids into the great outdoors! Are you the parent of a little bookworm who just isn’t into playing outside? It can be a little worrying. Are they getting the exercise their growing bodies need? Are they socialising and playing enough to encourage the development of necessary social skills? Are they getting enough Vitamin D? With a little thought, even the most bookish of kids can enjoy their playtime outside. Read on for a few great ideas on how to get your little bookworm outside. If your child is a huge fan of fairies, create a fairy garden for them. They’ll definitely want to be outside if there’s something specifically designed with them in mind. You can customise this idea to suit the tastes of any little bookworm – a Gumnut Baby garden would be a beautiful addition. Treasure hunts are fabulous ideas for getting bookish kids interested in nature and playing outside. You can design hunts based upon your child’s favourite book! 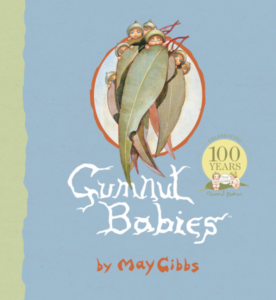 For example, why not search for the leaves they’ve seen in their favourite May Gibbs book? Or for feathers or stones they might have seen in a Jeannie Baker book? 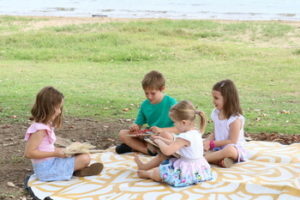 Natureplay Passports https://passport.natureplay.org.au/ are also a fantastic idea for bookish kids – there are stacks of secret missions available for free, and it’ll keep them busy and engaged for hours. These summer holidays, your local library will have some fantastic activities on offer to entice your little bookworm into being social and active in the great outdoors. Many libraries offer things like treasure hunts based on new release books, hands-on activities like gardening or science experiments, or just play-based activities to help them get more out of their favourite book. Check your local library’s website for more information. If your child loves the Gumnut Babies, take them to your local park or to a national park, and have them try to spot their very own Gumnut Babies! Your child will adore the idea that the babies could be around every corner, or up any tree, and you might even spot a few native local animals as well! This one is an old favourite that you can customise based on your child’s favourite book. You can invite friends and organise a few themed games to help them enjoy their time outdoors and get a little fun and exercise in while they’re at it. Possum Magic is another example of an excellent book to incorporate into a picnic! Does your child have a favourite book character? Print out an image of their favourite book character onto cardboard and ask your child to imagine where they think the character would like to go and what they’d like to do. Would Captain Underpants like to climb a tree? Would the BFG like a day out at the beach? 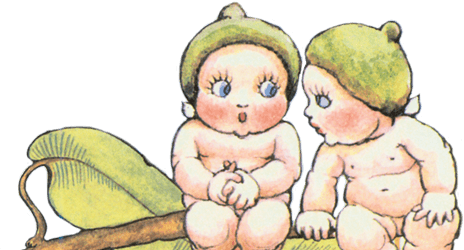 Is there a fun park or garden nearby that would make an interesting place for the Gumnut Babies to explore? Take a photo of your child and their favourite character outside, and afterwards, ask them if they’d like to write a story about what they did. Let’s face it, kids who read a lot have great imaginations! These bookish kids’ activities are sure to extend their reading skills, while getting them out of their book nook for some fresh air. 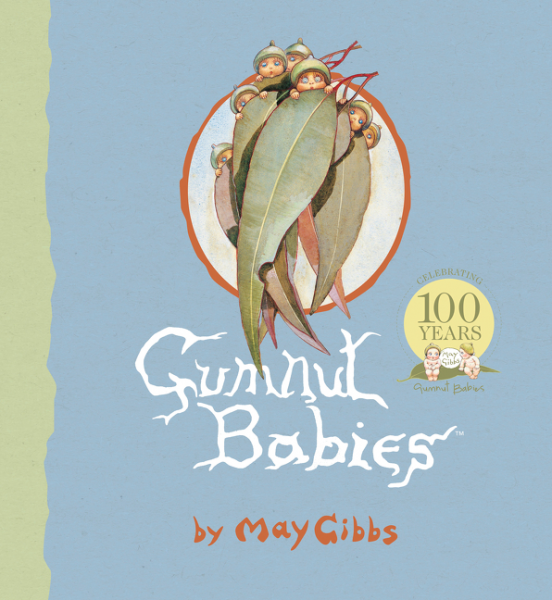 For more great bookish kids’ activities and information on children’s literature and reading, keep browsing the May Gibbs website! « Celebrate With Us – 100 Years of Bush Babies!